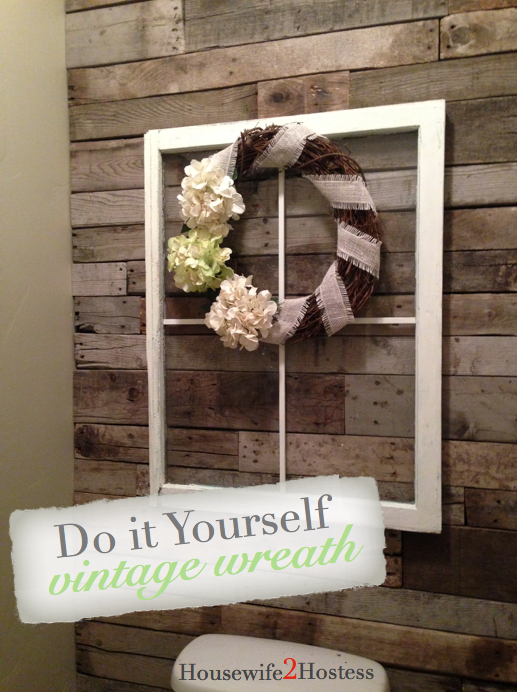 After finishing the panes on my vintage window project I decided to decorate it with a vintage style wreath. It was WAY easier than other wreaths I’ve done. First, start by cutting the hydrangea stems off so its just the top of the flower. I arranged mine on the wreath (before gluing) to see what I liked best. 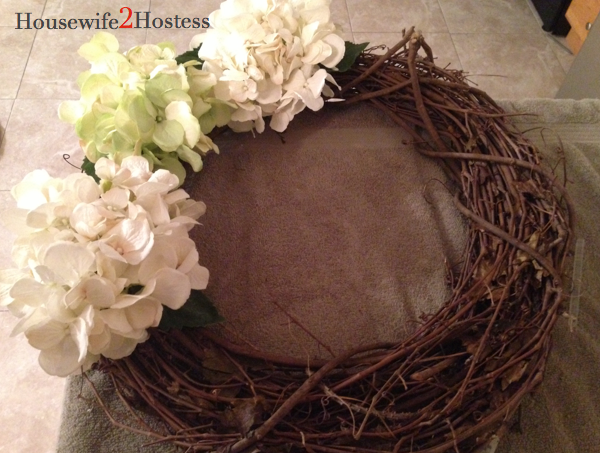 I originally thought of doing six around the wreath then ended up doing three. Just play around with it until you get it just right. 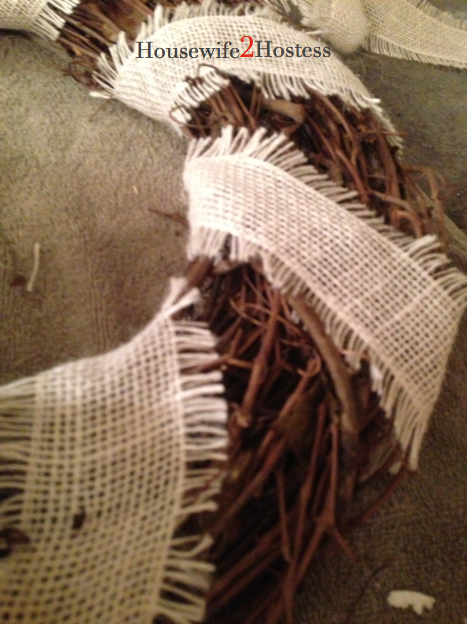 Before glueing it, wrap the burlap ribbon around the wreath. 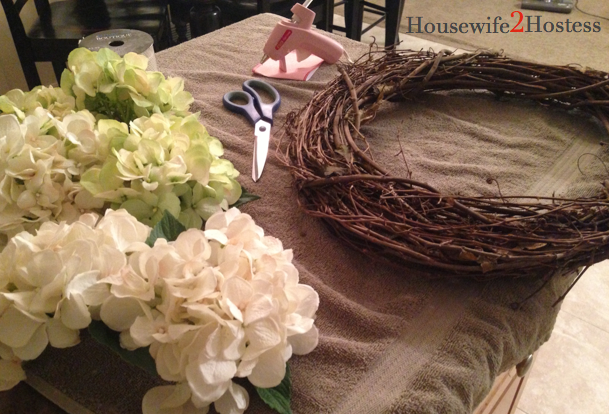 Once in place glue the ends to the back of the wreath to secure it. 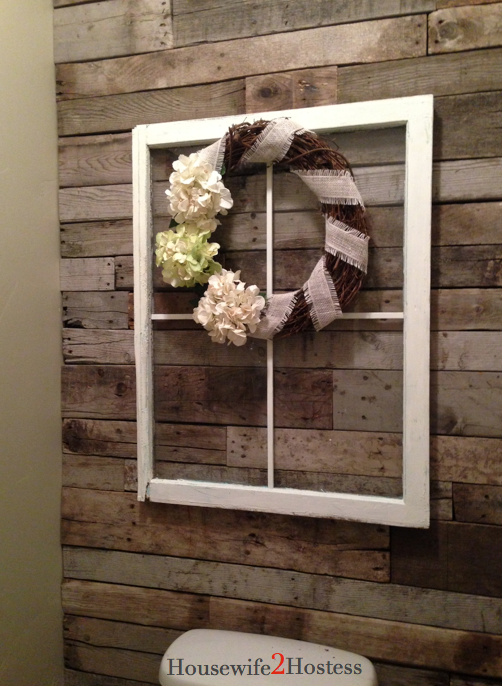 If you did it right this project should take you about 15 minutes, how’s that for wreath redemption!? Then hang it up!